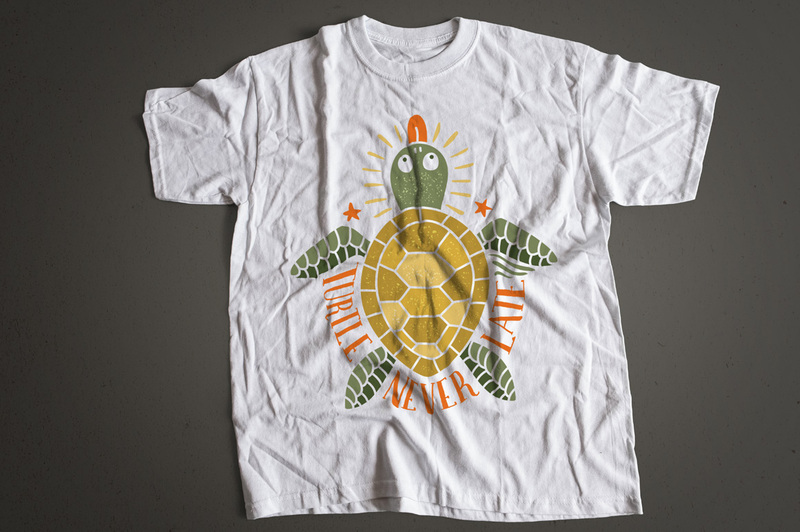 Happy turtle - a fun print on a T-shirt or something else. 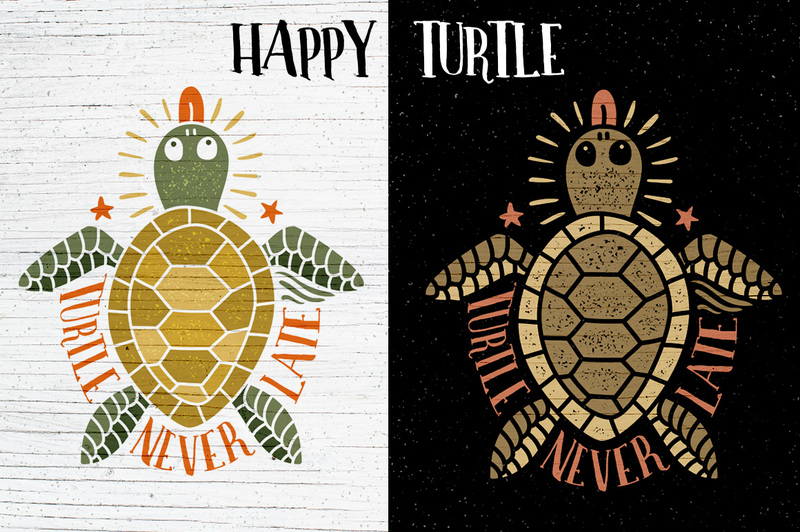 Turtle is made in two versions - for light and dark backgrounds. 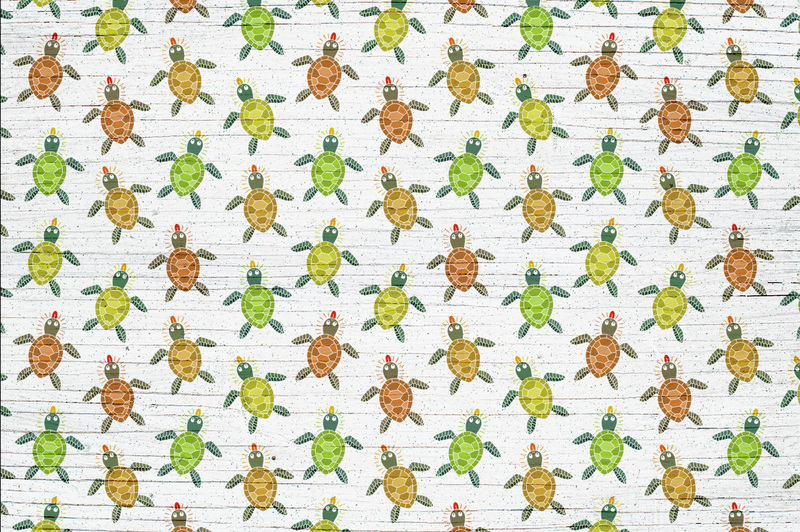 Attached seamless pattern of turtles on a light background. 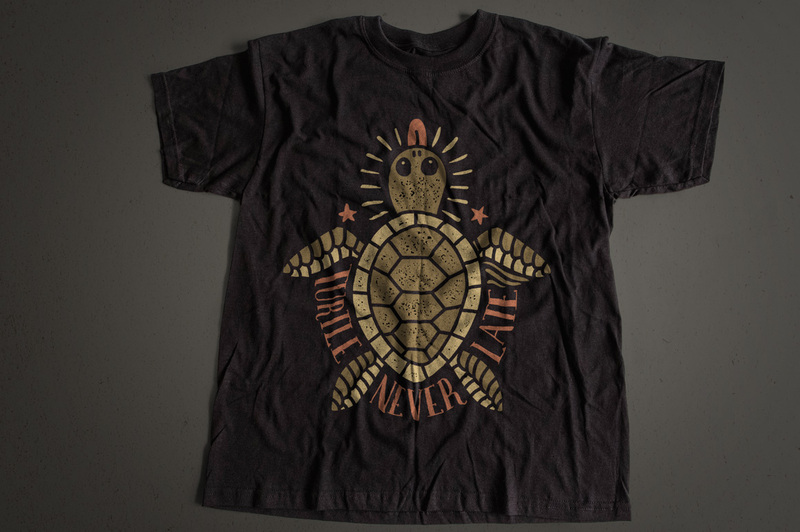 Things with this print bring good luck and good mood. 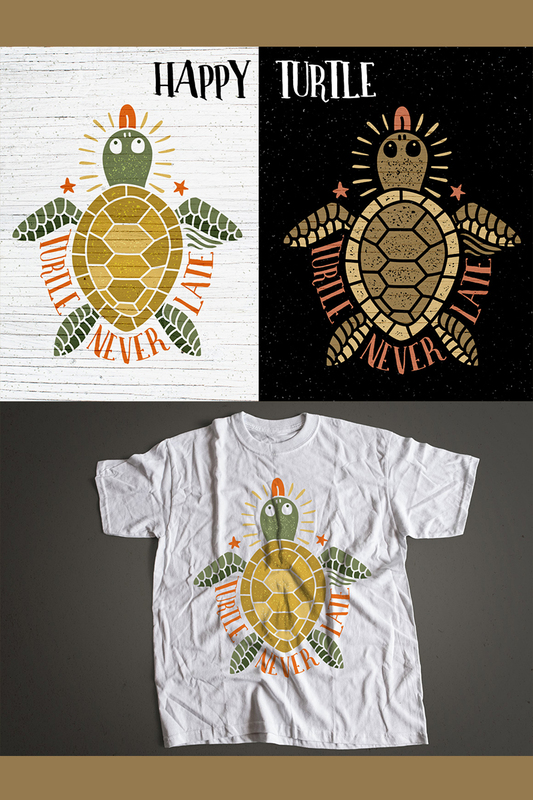 Dot texture, turtle, background on separate layers. Wood texture, which is in the preview, is not included.